Logistics activities include inbound logistics or outbound logistics. Inbound logistics refers to the sourcing, expediting and receiving of goods, that is coming to the business organization. On the other extreme, outbound logistics is all about warehousing, packaging and transporting of goods, going out of the organisation. Logistics is nothing but the management of the movement of materials, information and other resources between two points, i.e. from the point of inception to the point of consumption, to conform to the requirements of the customers and the organisation. Logistics management determines the procurement, storage and transportation of goods and material to their ultimate destination. Take a read of the article in which we’ve simplified the difference between inbound and outbound logistics. Meaning The influx of raw material and parts, from suppliers to the manufacturing plant, is known as inbound logistics. The outward movement of final goods, from the company to the end user, is known as outbound logistics. Focuses on Deployment of resources and raw materials, within the manufacturing plant. Movement of finished goods or product from the business to final customer. Inbound logistics connotes the activities which are related to sourcing, acquiring, storing and delivering the raw materials and parts to the product or service department. It is part and parcel of the operations, for a firm involved in manufacturing business. In simple terms, inbound logistics is the fundamental activity, which focuses on buying and scheduling the inflow of materials, tools and final goods, from suppliers to the production unit, warehouse or retail store. 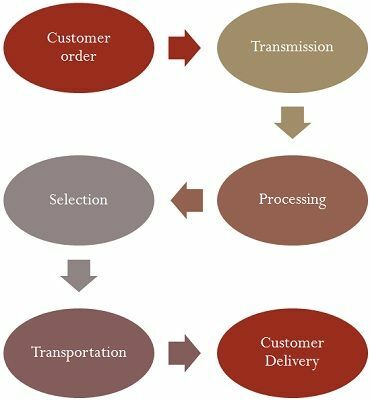 Inbound logistics includes all those activities, which are substantial to make the goods available for operational processes, at the time of their need. It encompasses materials handling, stock control, inspection and transport, etc. to facilitate, the production or market distribution. Outbound logistics, as the name suggests, is the collection, storage and distribution of the final goods and related information flows, from the manufacturing plant to the end user. It covers all those activities (i.e. selecting, organising, transporting, etc.) which are involved in the outflow of merchandise from seller to the buyer. Outbound logistics, in the case of a tangible item, can be warehousing, material handling, inspection and transport, etc., but for intangible ones like services, it is associated with setting for bringing customers to the service location. Inbound Logistics refers to the buying, storage and dissemination, of the incoming goods, to the production unit. On the contrary, outbound logistics implies the transmission, selection, packaging and transportation of final goods to the consumers. Inbound logistics, is all about sourcing and receiving of material and its management, in the organisation. Conversely, outbound logistics is mainly concerned with the customer service and distribution channels. The inbound logistics is oriented towards utilisation of resources and raw materials, within the manufacturing or assembly plant. As against this, outbound logistics stresses on the outflow of finished goods or product from the firm to the final consumer. In inbound logistics, the interaction takes place between the supplier and the company. Unlike outbound logistics, in which the interaction is between the company and the ultimate consumer. Logistics is an integral part of the supply chain management, which results in the timely delivery of the goods and materials to the final destination. It aims at providing right goods, at given time, in desired quantity and condition, at proper place and price. 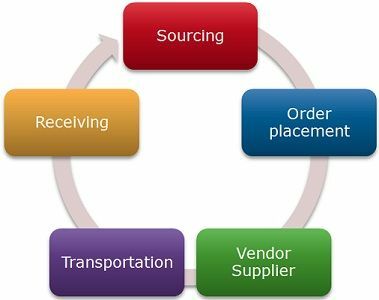 Inbound logistics includes all the activities that are concerned with order placement to the suppliers. On the other hand, outbound logistics covers all those activities that involve dealing or trading in products produced by the company. Thank you for this detailed explanation. i am keen interest on logistic and supply industry. this article helps me a lot.